Also known as augmentation mammaplasty, the procedure involves using implants to fulfil your desire for fuller breasts or to restore breast volume. Implants also may be used to reconstruct a breast after mastectomy or injury. Various types of Breast implants are available. They are silicone implants which are either gel filled or saline filled. Various routes are used to place a implant. These are submamary incision, through axilla, or through periumblical incion,perinipple and intra areolar approach. 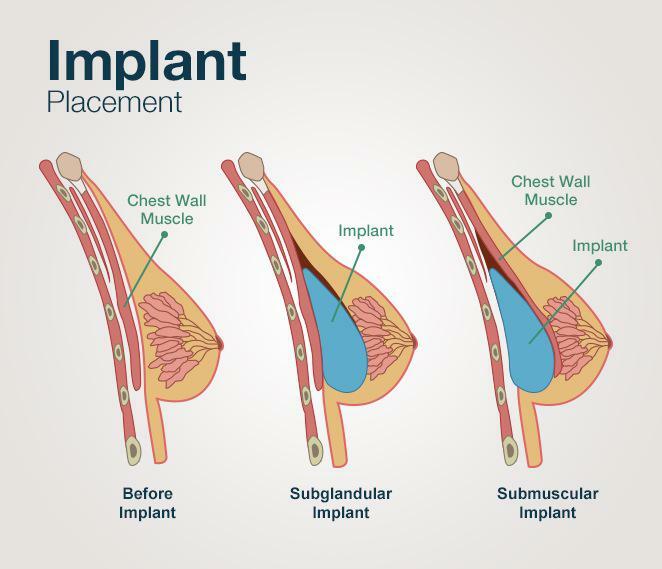 Implant can be placed below breast tissue or below muscle. Surgery is usually done under general anaesthesia, patient can be discharged on next day. Implants may need to be replaced: It’s important to know that breast implants are not designed to last a lifetime. You should plan for an annual examination by your plastic surgeon to see if the implants need to be replaced.